After coming back from India, I have been trying to make roti to master it. As you can see, it's not quite circle in shape yet, but the flavor is getting much better. When I make it, I make about 10 of them and freeze left overs. I call this a "small-win recipe". We love them. 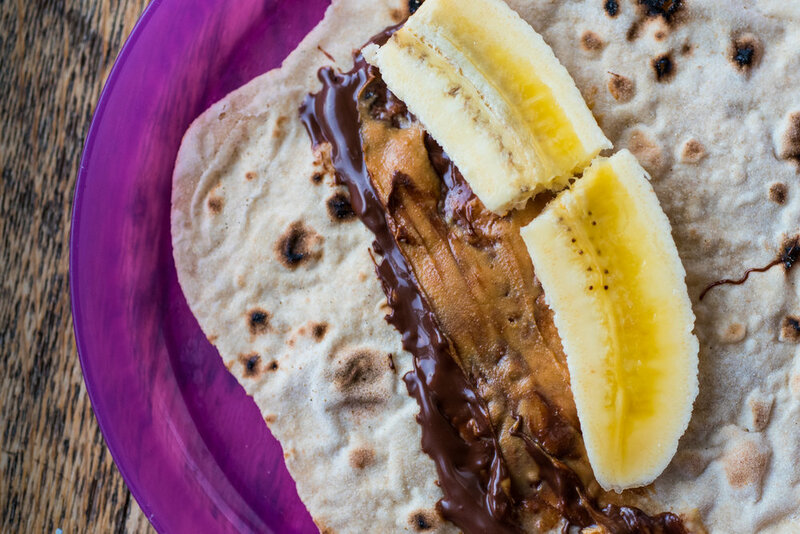 Chocolate and banana is the most popular, but you can roll pretty much anything you like. Also, It can be flour tortilla instead of roti. You can expect very similar result.